Italy is the fifth most visited country in the world and the Italian language is the fourth studied language in the word after English, Spanish and Chinese. Why is the Italian language so widely appreciated? Despite the heavy past and present political price that Italy has to pay, Italian is the common language of communication (lingua franca) of one of the major geopolitical actors on the world stage, the Catholic Church. Yes, Vatican official language is Latin, but the language really spoken is Italian. Knowledge of Italian is vital to understand many cultural and artistic fields and contexts. Italy’s cultural importance boast centuries of history spanning from antiquity through the present. Italian is the first language in opera and around the world there are many lyrical music lovers. In every century, Italian literature produces world-class masterpieces, being amongst the very first in the world. Italian literature is renowned for brilliant minded writers and thinkers of the Calibre of Dante, Boccaccio, Petrarch, Galileo Galilei and Machiavelli, Leonardo da Vinci and Michelangelo, Verga, Svevo, Pirandello, and Gramsci, to name a few. When it comes to cultural influence, the sophisticated Italy is the cutting-edge center of art, fashion, and entertainment. Italy is so enormously important from a cultural perspective that is widely recognized as first country in the world for art influence and importance. All this is reflected in the “material” culture like fashion and gastronomy. In a nutshell, several fields such as culinary arts, music, interior design, graphic design, furniture design, architecture, shipbuilding, space engineering in the world “speak” the Italian language. 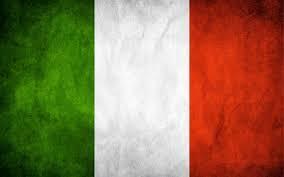 Italian is the official language of Italy, of San Marino, of the International recognized Sovereign Military Order of Malta, and is used in administration and official documents in Vatican City. It’s one of the third official most spoken language in Switzerland, is widely spoken in Malta, Istria County, Croatia and Slovenian Istria. It is the second language in Albania, and Italian is also spoken by a minority in Monaco, France (especially in the southeast region of the country), Germany, Belgium, Venezuela, Argentina, Canada, Australia, just to mention a few; it’s spoken in many African countries, as well. There are three primary groups of Italian verbs, classified according to the ending of their infinitives: first conjugation (-are verbs), second conjugation (-ere verbs), and third conjugation (-ire verbs). There are also seven moods: Indicativo, Condizionale, Congiuntivo, Imperativo, Infinito, Condizionale, Gerundio. In a basic conversation, you will only need to be able to distinguish between three main tenses of Italian verbs: Past, Present, Future. If you want to talk about present events (Simple present, Present continuous) use the “Indicativo presente”. Keep in mind that either ESSERE or AVERE can be used as auxiliary verbs in Italian. Conjugators and dictionaries indicate which auxiliary verb to choose. If I haven’t scared you off yet, let’s dig a bit deeper into a few more complex facets of Italian verbs. A compound tense is formed with a conjugated auxiliary verb and a participle (so the full verb consists of more than one word), e.g. ho parlato I have spoken. There are two main types of Italian compound tenses: perfect tenses and progressive tenses, and both are formed in a similar way as in English. Present perfect: …ha finito. …has finished. Past perfect: …aveva finito. …had finished. Future perfect: …avrà finito. …will have finished. Conditional perfect: …avrebbe finite. …would have finished. Imperfect progressive: Stavo lavorando quando il telefono ha suonato. I was working when the phone rang. Modal verbs are used to indicate likelihood, ability, permission or obligation. In Italian these are potere to be able to (can) and dovere to have to (must, but can also mean should), as well as volere to want to and sapere to know how to (i.e. when these are followed by another verb). Modal verbs are visrtually always used with another verb, which appears in the infinitive. Posso venire. I can come. Devo mangiare. I must/should eat. In the perfect tenses, the infinitive determines which auxiliary is used, and the modal verb becomes a past participle. Sono dovuta andare a Napoli. I (f.) had to go to Napoli. Ho dovuto chiamare Luisa. I had to call Luisa.